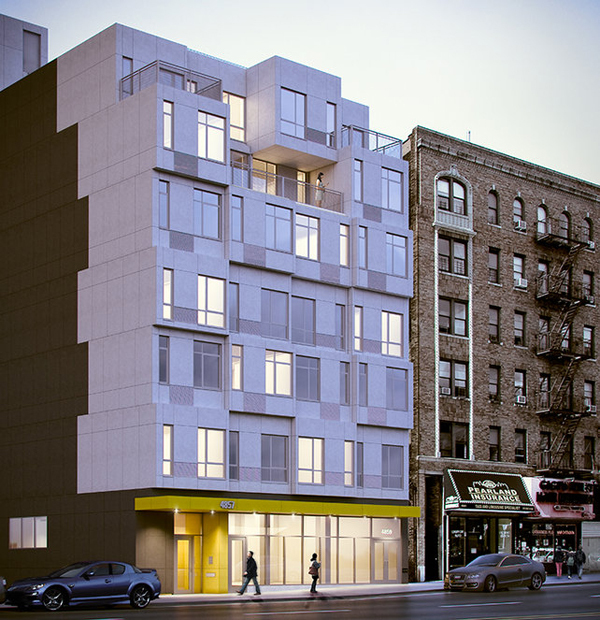 A first prefabricated building is being assembled in New York. Designed by architect Peter Gluck a seven-story apartment tower in Manhattan called The Stack consists of 56 blocks stacked on one another. Built in a Pennsylvanian factory the building modules were shipped to the site to be assembled over the course of four weeks with a help of a crane. The architects believe that this method of construction (modular) is just right for the urban areas that require more living space. And if the private housing is already filled with prefabricated housing units urban areas are just starting to benefit from the technology of mobile, zero-waste production. The new apartment tower that is 28,000 square feet houses 28 residential units and boasts an open plan and balconies that face the street in Inwood neighborhood of Manhattan. This project is not the first to use prefabricating technology for building construction though. 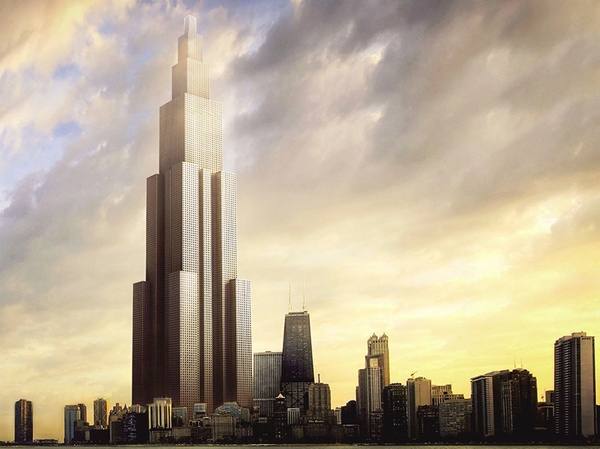 The tallest building in the world was planned to be built in Changsha, China in just 90 days. A prefab skyscraper was to be higher than Dubai’s Burj Khalifa and to feature 202 storeys. The project was was not given permission to be built, however, due to safety and congestion concerns. And it also received not so glowing reviews due to its bland design. The cost per square meter was estimated at $1,500, which made it quite low-cost and as the developers assured sustainable. This design though has gotten to the construction (assemblage) phase. Interestingly enough the architects say that the cost per square meter is comparable to building the traditional way but the time of construction was cut in half and the workers’ safety and conditions were much better in the factory where the building blocks were produced. The facade features push and pull style pattern that is easily created thanks to prefabricated modules. The design is practical though. The building doesn’t stand out too much against the neighboring structures and it’s not traditional-looking either. What do you think about urban prefabricated architecture? Many thanks for one more great write-up. The site otherwise can any one get that form of facts in these a great ways of crafting? I’ve got a speech a few weeks, and I am in the try to find such information.